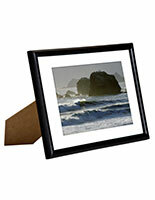 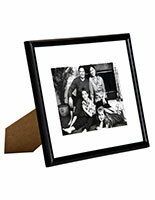 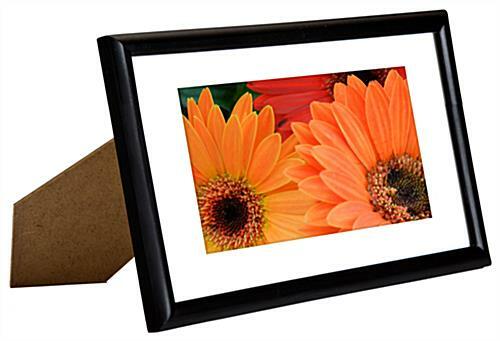 These 4x6 matted photo frames are made of wood with a black finish and an additional white mat. 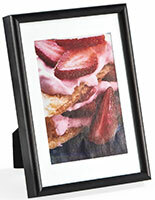 The picture display can showcase prints on a wall with it (2) metal hooks. 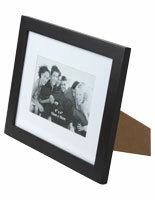 In addition, the wood photo frames include a double-sided easel stand for placement on countertops. 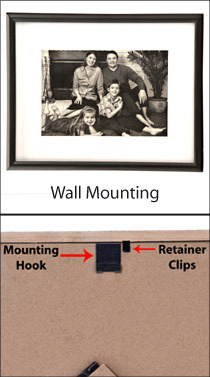 This and their (2) hooks allow the picture displays to be positioned either vertically or horizontally. 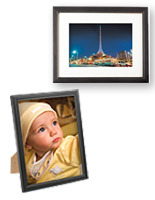 The frames' white matting can be removed for displaying prints measuring up to 5.5" x 8". 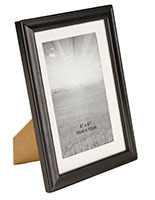 These holders also feature a clear glass lens that protects their contents from moisture and fingerprints. 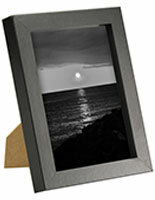 8.3" x 7.0" x 0.5"